This is the finished balsa crankbait covered in this tutorial. Want to learn how to make a balsa crankbait by hand and pick up some neat tricks and tips along the way? Sit back and let us share some great tips with you from UK-based lure maker, Paul Adams. Paul has been making lures at home for a long time. So it’s not surprising that he’s learned a lot while doing it, and he shares some great info in videos and lure templates to show you exactly how he does it. Paul covers things like carving the balsa wood into an actual crankbait body, creating the slots for the diving lip, the through-wire and the belly weight. He also teaches some great tricks for sanding the lure body and shaping it to get it just right, using common everyday items and tools. To top it all off, he even includes a complete materials list and a template to use! This is a pic of a partially finished, hand-carved crankbait by Brandon Seutter. 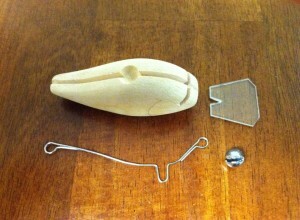 The photo shows the carved body with the lip slot, through-wire slot and the hole for the belly weight. To the left is a great photo of a hand-carved crankbait by Facebook user Brandon Seutter. Brandon follows a lot of the same steps and processes that Paul Adams lays out in his video below. The process of making these baits 100% by hand can be a bit lengthy, but it pays off with a completely custom bait where you have complete control of every step of the build process. Creating your lures this way is pretty satisfying and allows you to make small, subtle changes where you want to or need to in order to make a lure that perfectly suits your needs. Below, you’ll find a video that shows you the first set of steps to follow, to get you started. So grab a piece of paper and a pencil and be sure to take some notes and learn from this incredibly-talented lure artist. Thanks for stopping by. We hope you enjoyed this awesome tutorial and learned a lot about how to make a balsa crankbait. Be sure to check back again soon for more of these! 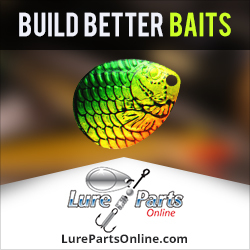 You can visit Paul’s lure making blog by clicking here. 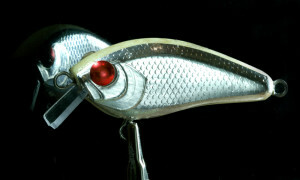 This entry was posted in Hand Carving Crankbaits and tagged crankbait carving tutorial, crankbait making tutorial, how to carve a balsa crankbait, how to make a balsa crankbait, how to make a crankbait by hand, how to make a hand carved crankbait on June 3, 2014 by Lure Parts Online. Very nicely done! Really enjoyed viewing video. Very clear, informative and helpful. can baits be chromed other than electroitss? and the spray paints don’t work when sprayed with lacquer. Your generosity in sharing your innovative ideas, and your incredible capacity for problem solving always leave me in awe Paul. Absolutely brilliant tutorial!